I remember watching the 1976 Storm Boy film based on the novel of the same name by Colin Thiele in school as a kid and really enjoying it, although I assumed it had been made for fifty dollars. 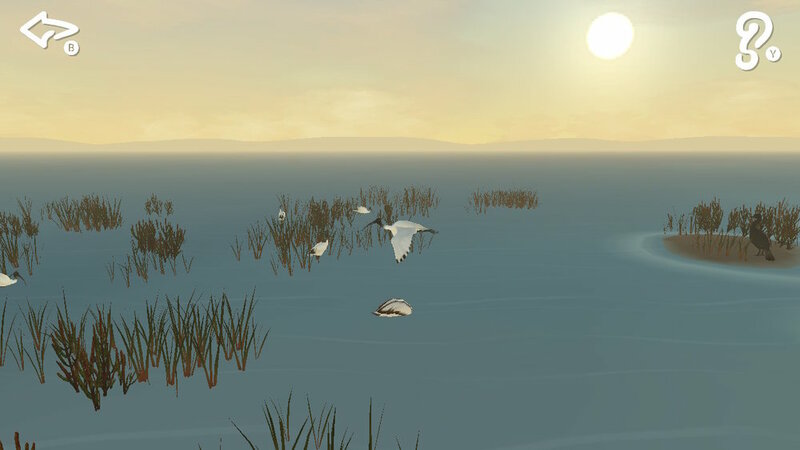 Now with a 2019 film coming that both continues the story and re-tells it for a new audience, developer Blowfish Studios are releasing their adaptation of the classic Australian story, bringing it to an interactive platform for the first time. 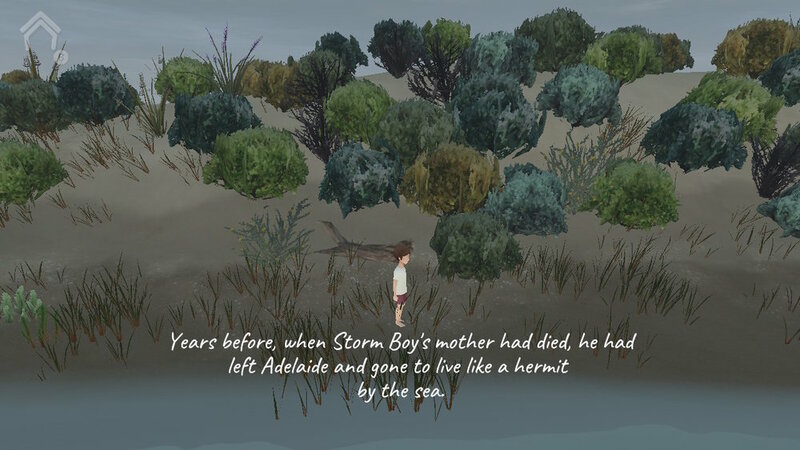 Storm Boy: The Game isn’t an epic several hour-long retelling of the book with fleshed out characters and interactions. It is a storybook with a simplistic, yet bright and wonderful art style; it’s a relaxing experience before bed and it’s short and sweet but leaves you wishing it had a little more oomph to its storytelling. On the beaches of South Australia, near the Murray River a young boy, the ‘storm boy ’ finds three abandoned pelicans which he chooses to try and look after. He raises all three until they grow bigger and older into fully-grown pelicans, one of which he becomes rather attached to and names Mr Percival. Storm Boy is a story of friendship and growing up, but this shorter more concise version of the story from Thiele loses the relationship building between the two main characters. Although there are mini-games to grow your bond with Mr Percival, nothing adds a real emotional weight to the bond other than you being told there is one. As an adaptation of Storm Boy, this is very much like the picture book adaptations for kids of movies such as Disney movies and alike. Even down to the point where, much like those books, it feels like without context of the source material, you may not fully understand everything that’s happening from point a-to-b in the story. 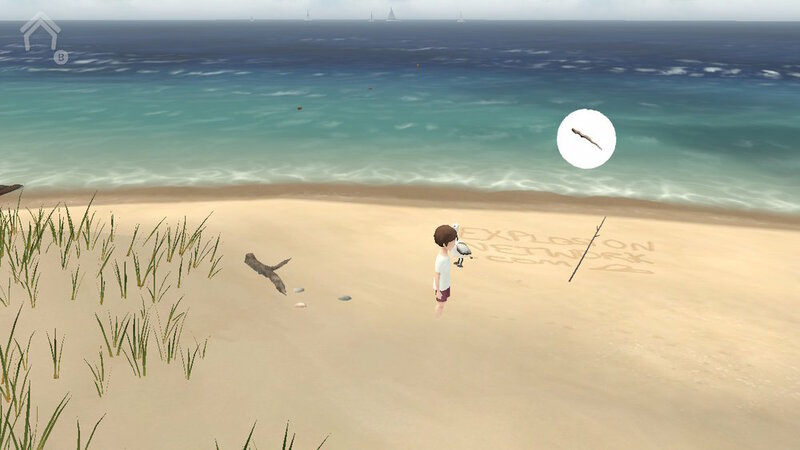 For the most part, the story is told through text appearing on the screen as you walk across different locations as it explains the story happening and you’ll watch and interact with bigger moments of the story unfolding. The biggest sections of interactive gameplay you’ll find is a selection of mini-games that let you play with the world and Mr Percival. 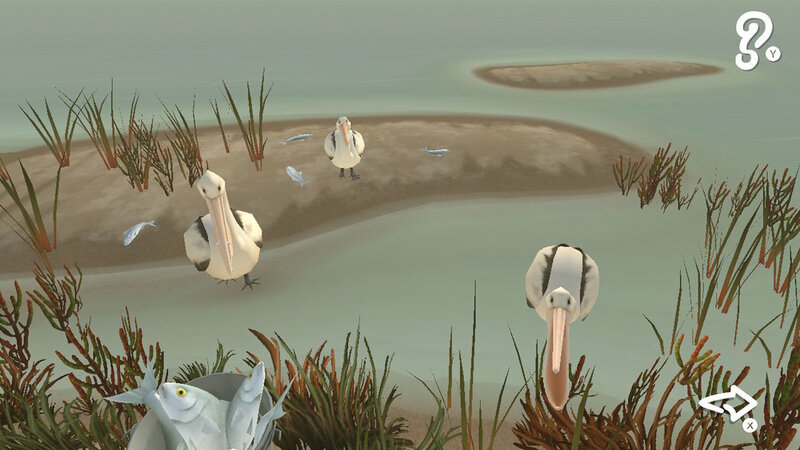 These include diving into the ocean, collecting cockles on the beach, feeding your saved pelicans and flying high in the sky as Mr Percival. There is no real goal with the mini-games as the whole game is designed as this relaxing experience, but it would have been nice to have a ‘finish’ to some of them. For instance, I found all the cockles on the beach and nothing happened — a simple ‘good job’ would have sufficed. 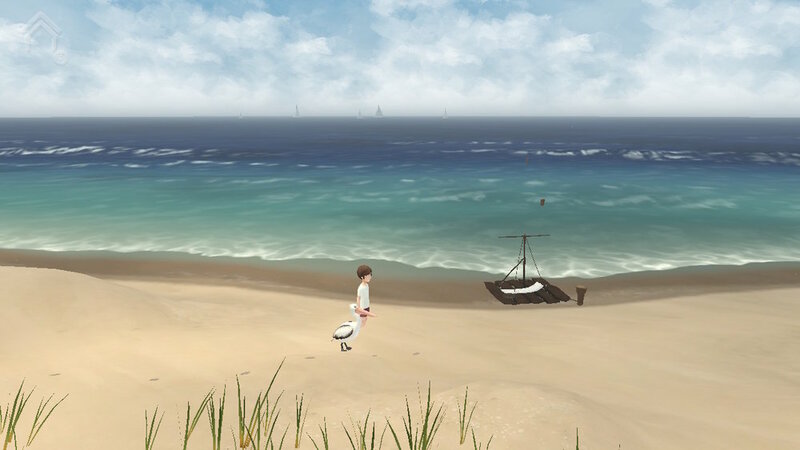 Storm Boy: The Game’s biggest issue, however, is its flow which keeps it from being the soothing experience it wants to be. I quickly realised I had to stop running along the beach to read the text as it would disappear too fast for me to read. And let me clarify, I’m not a slow reader at all, it simply disappears so fast if you keep moving. This constant stopping and starting to read the text on screen really killed the overall flow of the game for me somewhat. If you’re a fan of either the book or the movie, this short (took me less than an hour to finish) experience will give you some potential feels come the conclusion, but I don’t see it bringing in a new audience. It’s also worth noting that although I reviewed the game on the Nintendo Switch which sells for $6.99, the iPhone & Google Play versions are $4.49 and I think -- without having played it on either platform — this game would be better suited on your phone simply based on my time playing it handheld on the Switch — which was way more comfortable than on the TV. I like Storm Boy. I’m Australian. I have a semi-attachment to the story from being a kid, so for me personally, this was an experience I was looking forward to diving into and I enjoyed the ride. If anything, it made me want to watch the 70’s film again, but this is a comfort food variation of Colin Thiele’s story, not a good place to experience it for the first time.